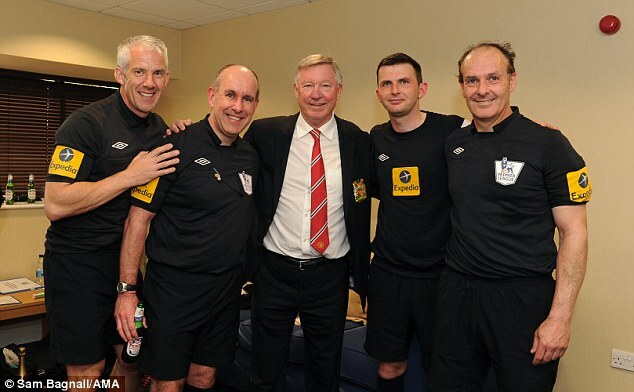 After 27 years of giving the hairdryer treatment to English officials, you’d expect the Premier League’s referees to be glad to see the back of Sir Alex Ferguson. 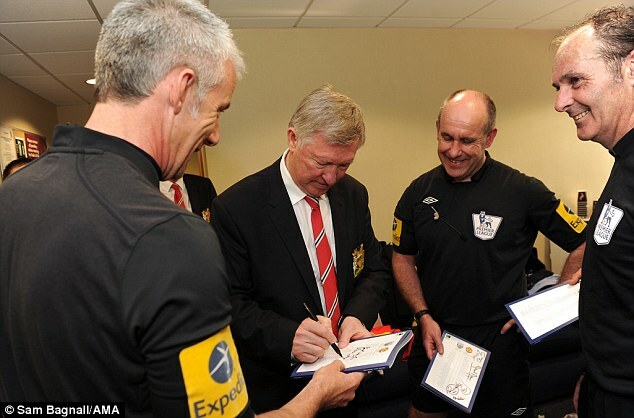 However, after Ferguson’s final game in charge at Manchester United, referee Michael Oliver, fourth official Chris Foy and linesmen Ceri Richards and Dave Bryan posed for photographs and even asked for the Scot’s autograph. Ferguson celebrated his 1,500th game in charge of the Red Devils on Sunday, and watched his side play out a thrilling 5-5 draw against West Brom, the first in Premier League history.